Sometimes you stumble across a portfolio where the artist only has a couple of comic based pieces, other times there can be just one work so brilliant, you'd risk being stoned to death by fellow art lovers for putting something else beside it. 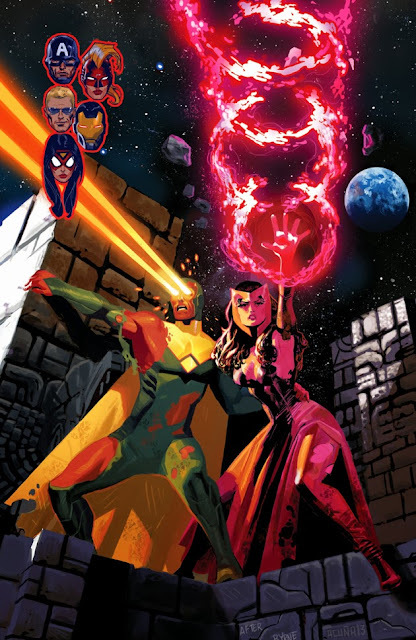 These are Random Works of Wow and illustrating the point this week is Daniel Acuña with his Avengers #24.NOW variant, starring Vision and The Scarlet Witch. I can't describe how awesome this cover is. But I'll try. 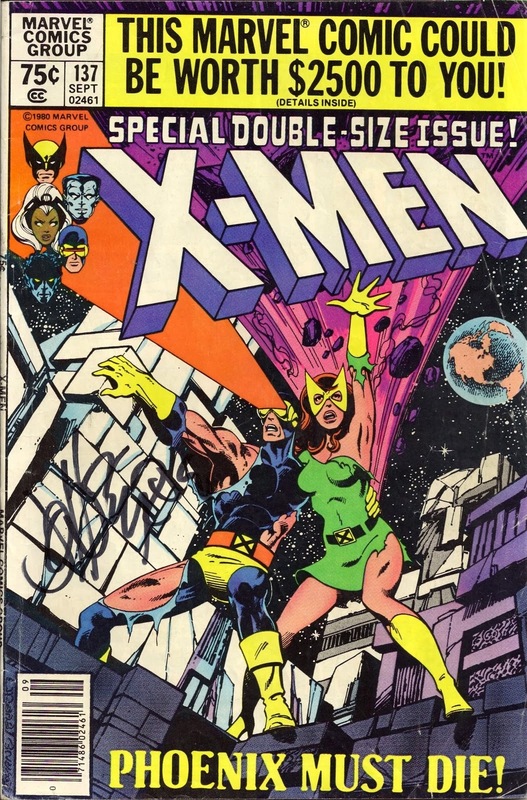 An incredible homage to Uncanny X-Men #137 by John Byrne and Terry Austin, it highlights my two top Avengers, nodding to the days when they were a couple as strong as Scott and Jean. Just like the original, it's great how the body language of Vision/Cyclops has them retreat more under the female figure's protection. Back when Vis and Wanda were a couple, the latter wasn't made out as that powerful a player, but she sure gets her dues here! What do you think? Sound off below, click to enlarge or view more Random Works of Wow here. Excellent rendering by Mr. Acuña. Thanks ComicsFan, glad you dug it! I never thought of The Vision having clothes until now - but it kind of works, especially since he is meant to be the original Human Torch underneath. Whatever happened to the days of the gem on his forehead too? And I love the way he drew the hex itself. Nicely colored. I agree Random, infact I think that is the best way I've seen Wanda's powers coloured and drawn period.